Rarely has a website had such an apt name as Twitter. The social network is all about chatter, and it’s seemingly talked about incessantly everywhere else. The hype can be tedious but lurking behind it, is there really a brilliant, entertaining, informative tool that you could be using? Among the millions of trivial messages published daily, are there some that you would find interesting? If so, how would you spot them? In this article we’ll put Twitter on trial, offering a measured assessment of what’s good and bad about it. 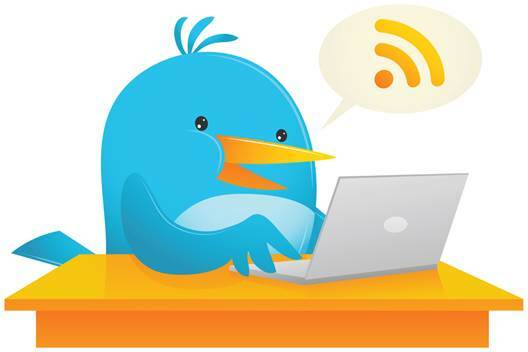 We will explain what Twitter is, who’s using it and what for. And if you want to try tweeting, we’ll show you to how to join in and get the best from it. Simply put, Twitter is an online service that allows users to create and read text messages of no more than 140 characters. A user’s ‘tweets’, as they’re known, are usually publicly visible on their profile webpage, although it is possible to limit them to approved people or to send a private message to another user. Twitter users see a ‘timeline’ of tweets published by themselves and the people they ‘follow’. To follow someone, you simply visit their profile page and click the ‘Follow’ button. The service first appeared in 2006, initially as a way to communicate with a group of people using a single SMS text message. Within a year there was considerable enthusiasm for Twitter among technology and media types. 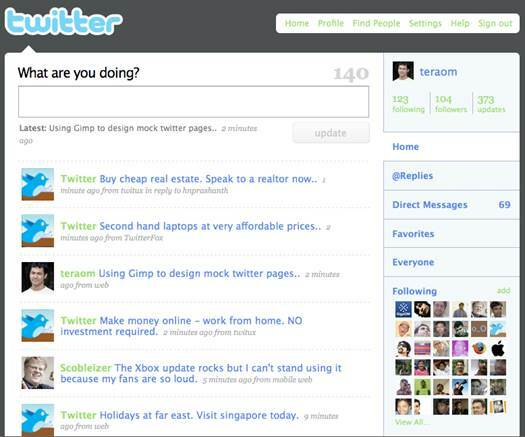 This early popularity encouraged others to join but also left many people with the impression that Twitter was an ‘in-club’ for media professionals and celebrities. Even if this was true in its early days, Twitter has now entered the mainstream. It claimed to have 100 million active users at the last count, but they aren’t just the media darlings, teens and self-promoters you might fear. Research conducted by the Pew Research Center in America (www.pewinternet.org) suggests that Twitter is more popular with female internet users than males and that it is used by people of all ages. 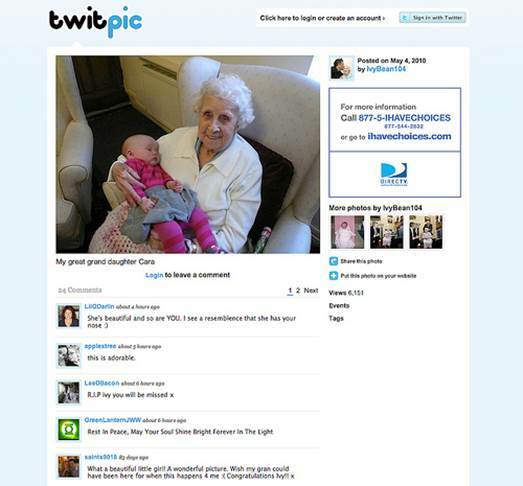 At the time of her death in 2010, the world’s oldest known Twitter user, Ivy Bean, was 104. In short, Twitter’s users are a broad cross-section of society. Just because there’s a mix of interesting people on Twitter, it doesn’t necessarily follow that their tweets will be of interest. This may be a disappointment for those following updates from a favorite actor, musician or comedian, only to discover that they’re distinctly less fascinating than expected. In 2009, Stephen Fry, perhaps the archetypal Twitter celebrity, famously threatened to quit the service after a follower confessed to finding his tweets “a bit… boring”. Perhaps inevitably, he didn’t leave and Fry now has over three million Twitter followers. The restricted length of tweets means the medium is ideally suited to the distribution of news, with just enough room for a typical headline or summary along with a web link leading to a longer article. Unlike Facebook, however, the service wasn’t originally designed to handle images or messages longer than 140 characters, preventing tweets from telling the full story. While it still isn’t possible to add an image directly to a tweet, numerous services exist that let users upload one to a webpage and include a short link to it instead, making efficient use of the 140-character limit. Importantly, you don’t need to have a Twitter account or be an active user to find news on the site. Just visit www.twitter.com/search to look for a topic or trend of interest. Twitter’s search engine will return relevant news, tweets, users and images. Most major news outlets now use Twitter feeds to distribute headlines, such as the BBC’s @BBCBreaking account (we’ll explain more about the make-up of Twitter names a little later), but Twitter’s accessibility means that smaller news outlets and even individuals can use it to circulate information. Much has been made of this fast propagation of news and eyewitness accounts, with Twitter’s speed and reach sometimes credited with having helped protesters to outmaneuver oppressive regimes. Alongside Facebook, the network played a high-profile role in organizing and publicizing the events of the Arab Spring – the wave of revolution in Arab nations that began in December 2010.